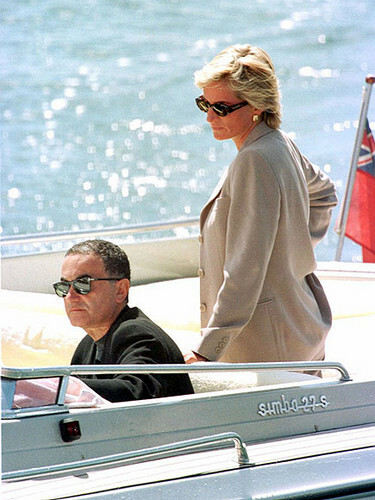 Dodi and Diana on holiday, April, 1997. . Wallpaper and background images in the Prinzessin Diana club tagged: dodi al fayed princess of wales diana. This Prinzessin Diana photo might contain whirlpool, ponton, automobil, auto, geländewagen, lkw, and suv.